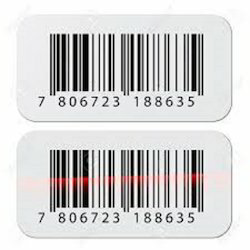 We are a prominent company involved in manufacturing, exporting and supplying Printed Fabric Labels, Barcode Tags and Hang Tags. 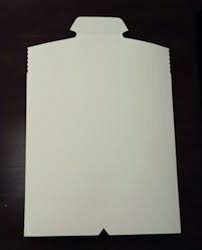 Our products are highly reckoned among our clients due to their fine quality and durable. Moreover, we offer our products in very reasonable rates. 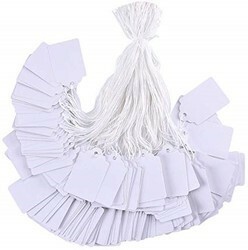 Our product range includes a wide range of hang tags for clothing, cardboard hang tags, hang tags, creative hang tags and garment hang tags. 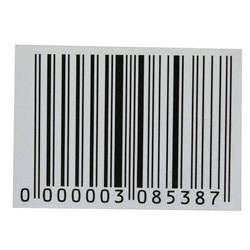 Providing you the best range of digital printed labels, fabric printed label, cotton fabric labels and cotton tape printed label with effective & timely delivery. 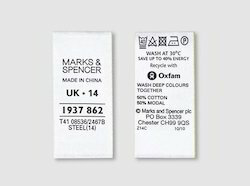 Providing you the best range of cotton fabric labels for garment industry, apparel labels, shirt labels, towel labels and garment labels with effective & timely delivery. Providing you the best range of price tickets with effective & timely delivery. 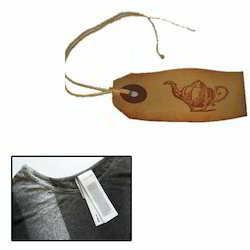 Our range of products include thermal transfer ribbons. 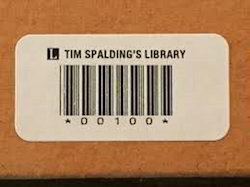 Manufacturer of a wide range of products which include barcode stickers for books. 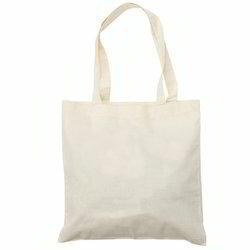 Pioneers in the industry, we offer calico bags from India. 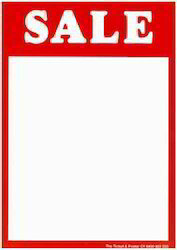 Leading Manufacturer of strung and unstrung hang tags from Bengaluru.